It was chanteuse Britney Spears who once sang, "My loneliness is killing me" — and, as is so often the case with warrior poets, her words held a certain truth. A new study out of the UK suggests that isolation and loneliness might be as important to cause of death as other common contributors like smoking and that those who live socially isolated are much more likely to die prematurely than those who live with a social support system. Says epidemiologist at University College London and the study's author Andrew Steptoe, "[People] are dying of the usual causes, but isolation has a strong influence." According to Steptoe's research that was published in the Proceedings of the National Academy of Sciences, social isolation led to the early deaths of 6,500 British men and women over a seven-year period and that was after factoring out other mental and physical health conditions. While the UK study did its best to separate social isolation from loneliness (since the latter is much more subjective), the two are inexorably linked. 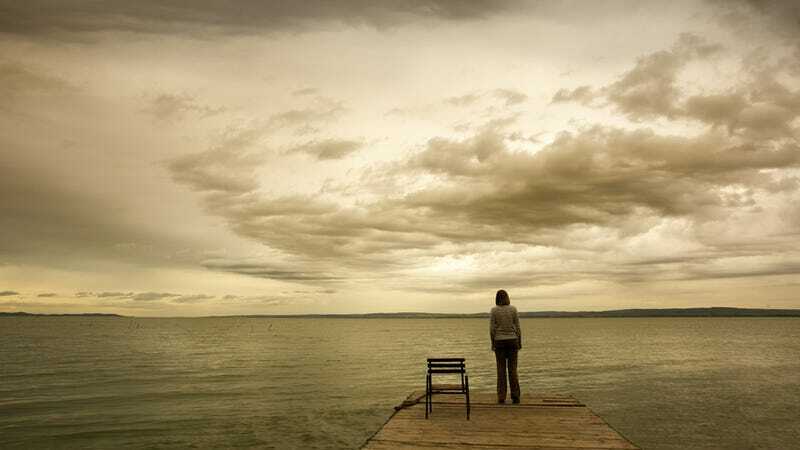 A 2012 study of retired Americans found that loneliness was a contributing factor in several illnesses like high blood pressure and — of course — heart troubles. Steptoe remarks "Unfortunately in our study, we can't tell which comes first. We did know that lonely people did have more illnesses." Regardless of which comes first, what remains clear is the need for better support for the elderly and people who live alone. Over 25% of US residents live in single person households and the number of Americans who said that they had no one to talk to about important things jumped from 10% in 1985 to to 25% in 2004. But what is it about being socially isolated that leads people to march a little quicker to that end of the road? John Cacioppo, director of the Center for Cognitive and Social Neuroscience at the University of Chicago, speculates that the lack of social contact might encourage unhealthy lifestyle habits like smoking, staying sedentary and eating poorly. "Whether or not loneliness predicts mortality in the UK," Cacioppo tells the LA Times. "It most certainly does predict lower well-being, increased depressive symptomatology, and decreased cognitive functioning in older adults in the UK as well as in the U.S."
TL;DR? Call and check in on your grandma.